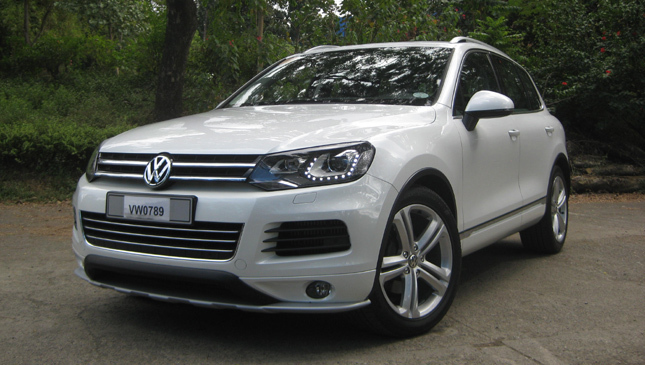 When Volkswagen was relaunched in the country in late 2013, the Touareg was one of the initial vehicles on offer. 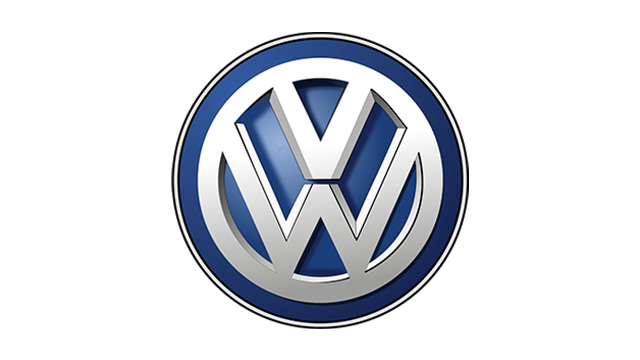 With its reception in other markets mixed with our desire for SUVs, it was the model that somehow gave VW that wow factor. As an entry in the premium segment, it has been getting its fair share of attention since the German carmaker’s return to our market. And now, it has been spruced up with this Sport Edition. 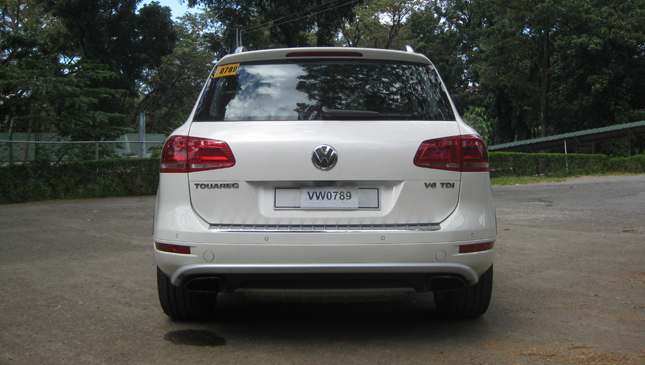 While the Touareg is a project shared with the Audi Q7 and the Porsche Cayenne, the crossover SUV possesses styling cues unique to Volkswagen. 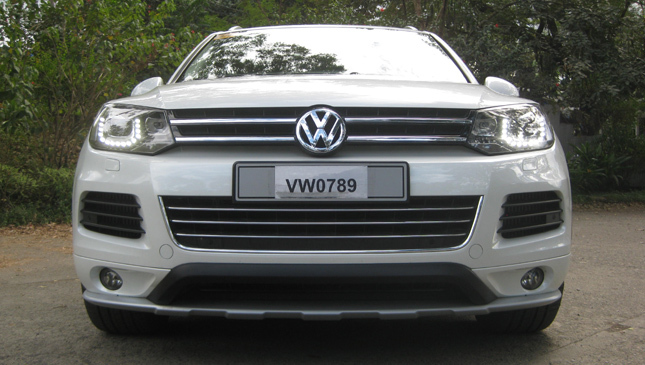 The front end’s presence is understated yet dynamic, with the integration of the headlights (bi-xenon with cornering lights and LED daytime running lights) and the grille. 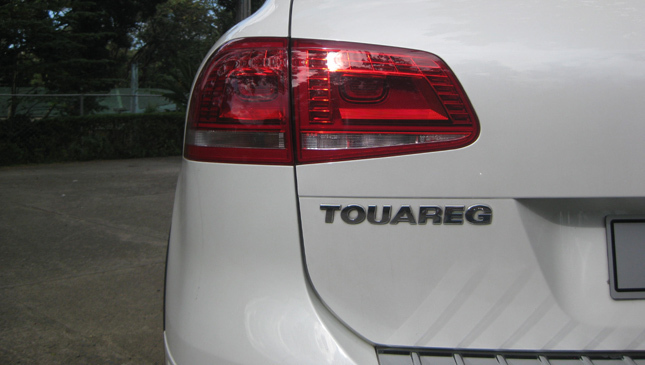 The rear equally has no fuss, with attention drawn directly to the LED taillights and the simplicity of the tailgate. Roof rails, meanwhile, add a rugged touch to the profile. Overall, this SUV has clean lines and is well-proportioned. 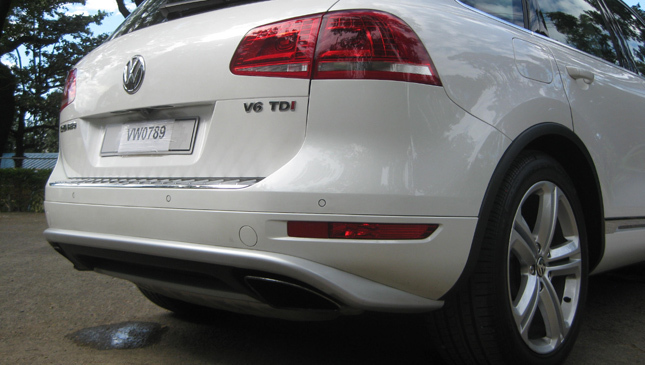 Quite a few actually prefer its styling execution over its more expensive relatives. VW’s interiors hardly have any unnecessary extras. 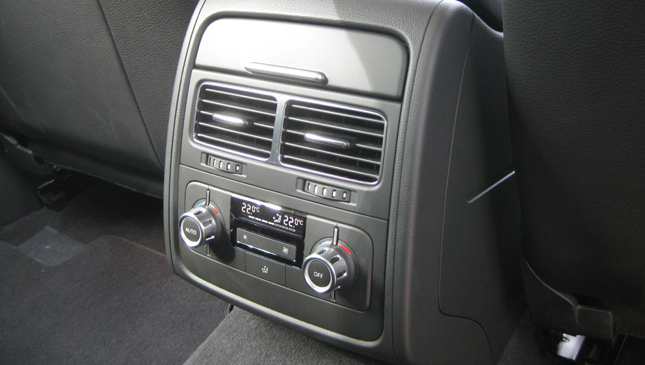 The typical layout is straightforward, with buttons and knobs in the right places. Gloss-black panel on the center console and metallic silver trim on the dashboard and the doors highlight the vehicle's black cabin, while red dials break the monotony. The simple treatment makes it look sporty yet elegant. 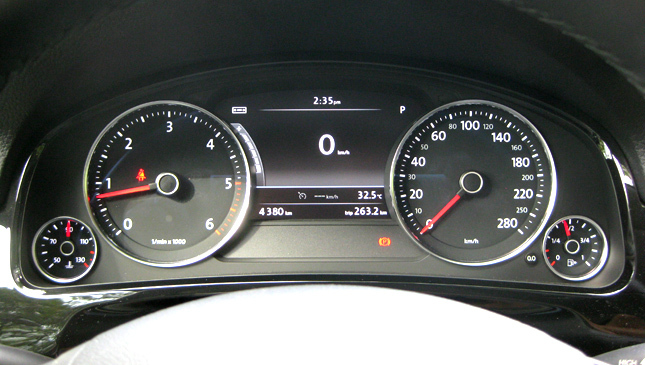 The multifunction display is also easy to understand. 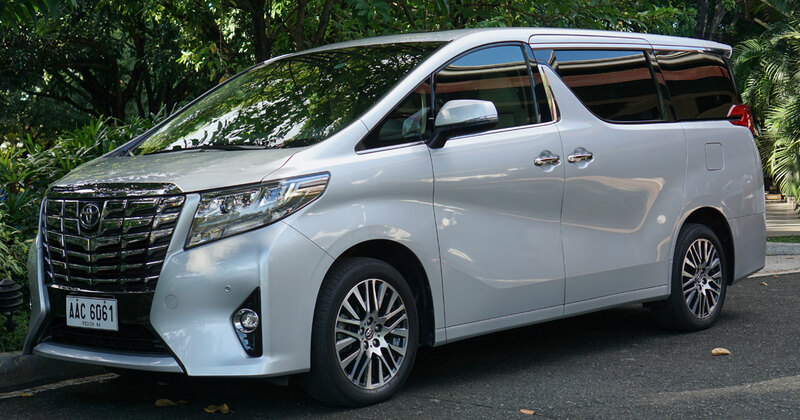 The black leather seats only have manual adjustment, but we don’t mind the manual operation; it will be easier to maintain than electric adjustment in the long run. 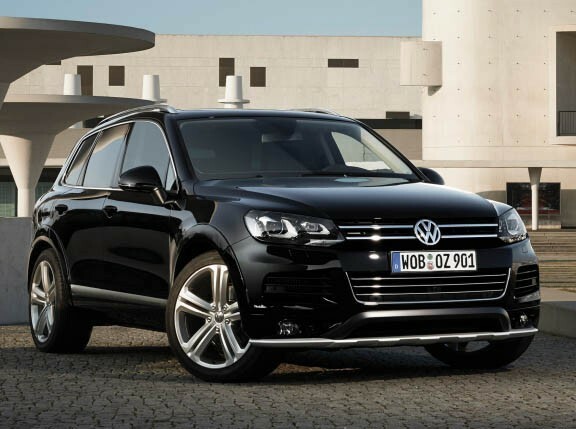 At the rear, occupants won’t find cooling a problem: The Touareg is equipped with a four-zone air-conditioning system. 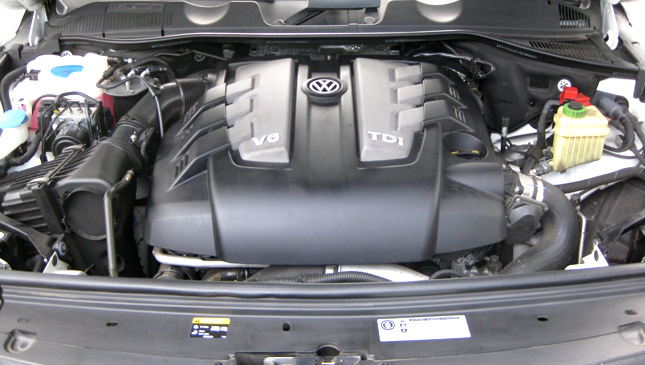 Under the hood is a 3.0-liter V6 turbodiesel that's good for 242hp and 550Nm, with pull kicking in at 1,750rpm. The mill is coupled to an eight-speed automatic transmission. Throttle and gearbox response is smooth. 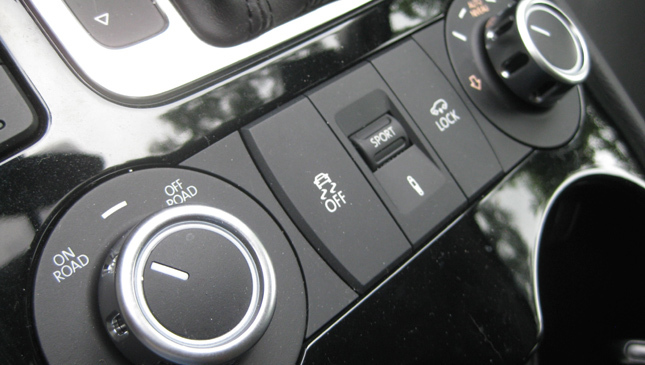 A flick of the gear lever downward shifts Drive to Sport, and vice versa--a very simple and smart operation. Unfortunately, there are no paddle shifters, perhaps to keep the price tag in check. 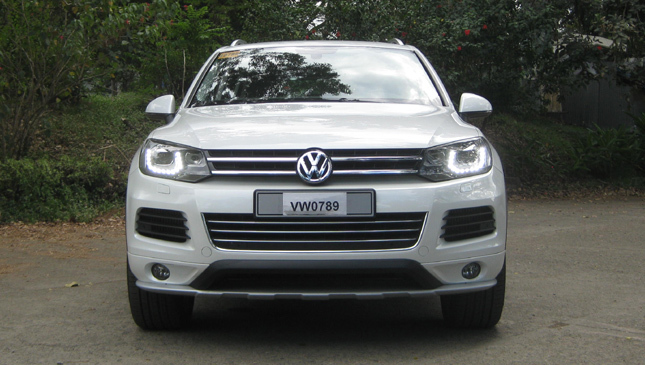 Around the city, the Touareg returned 6-7km/L and lingered around 11-12km/L on the highway. We got it up to 12.6km/L without any obstruction (accomplished with three passengers on board). 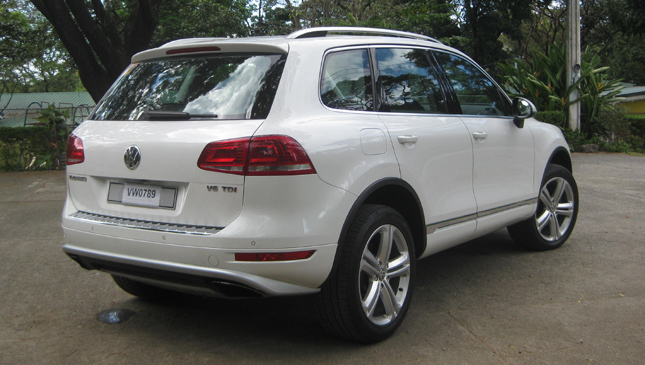 Given the Touareg’s size and weight, the return is decent. 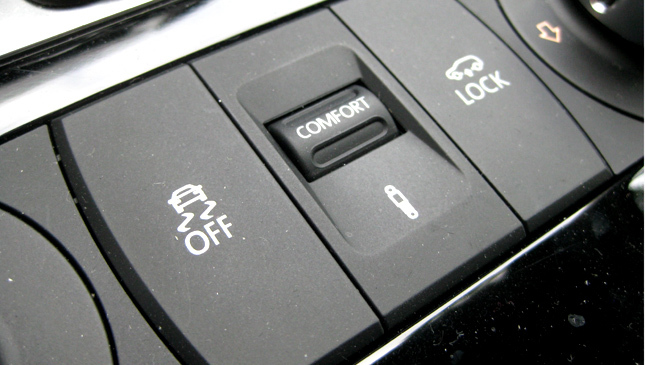 Power sent to all four corners makes the burly SUV feel stable at all times. Air suspension, meanwhile, means the commute from point A to point B is smooth. Height adjustability comes handy when floods occur or when ceiling clearances of parking areas are in doubt. The lowest setting also improves aerodynamics. 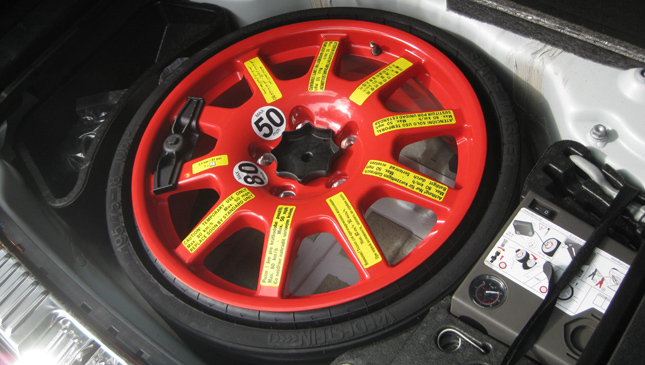 Along with the height-adjustable suspension, dampers can be selected, with a choice of comfortable, normal or sporty setting. 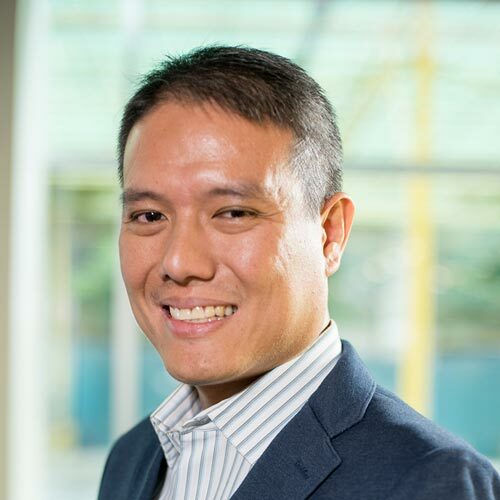 Steering is on the firm and weighty side, yet light enough for easy effort. 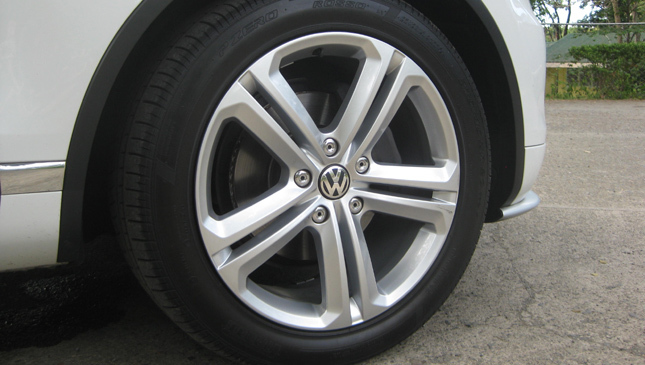 The Touareg Sport Edition comes with 20-inch Mallory wheels and front and rear underride guards. These features enhance the appearance and improve on-road handling, but compromise off-road capability. 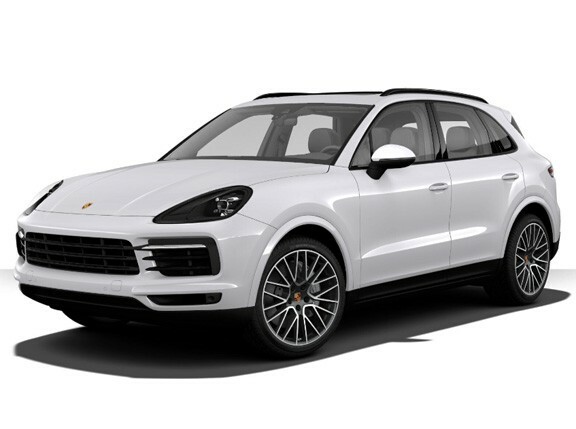 Admittedly, this SUV looks really good in sport stance with those wheels and front and rear add-ons. 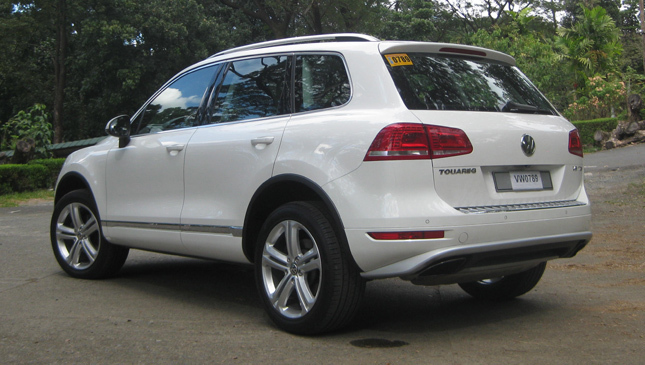 At P4.29 million, the Touareg is quite tasty for the price, compared to the Porsche Cayenne, the Audi Q7, the BMW X5 and the Mercedes-Benz GLE--all of which cost P6 million and above. 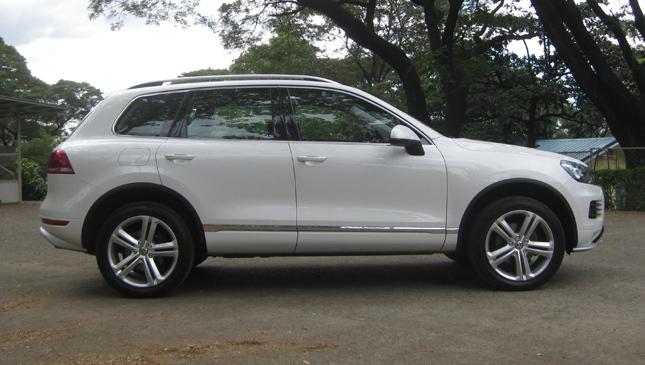 At that price, we think we can consider the Touareg a pretty good bargain.